Boss misses end of Burton friendly to go and meet a potential new signing. 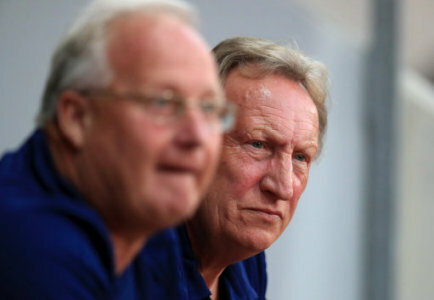 Assistant amanger Kevin Blackwell confirmed that Neil Warnock was meeting a player for talks over a possible transer. Warnock missed the end of the 5 -1 victory at Burton to jet off to an unknown destination. "I’m talking to you because Neil has had to catch a flight to see a player," said Blackwell. "We’re still looking at possible signings but in terms of preparation, the lads showed how much fitter they were second half and that’s what we’ve been looking at. "I can’t tell you who he’s gone to talk to as I think there will be other clubs looking at him as well. "What we’ve noticed since stepping up is that whenever we’ve sent scouts to games, everyone else is there too so we’ll keep this quiet. "We feel we need something in midfield and we know the window closes on August 9 and doesn’t open again until January 1st. We have to go five and a half months without bringing a player in so we feel we have to get some more cover in midfield and up-front." Cardiff continue to pursue Marko Grujic from Liverpool. The Serbian midfielder is in the USA with Liverpool and is getting some game time. The latest was overnight as Liverpool beat Man Utd 4 - 1 with Grujic coming off the bench in the 65th minute. The game in Michigan was played in front of 105,000 people. "It means a lot to me because it means I showed some good games and some good stuff with them. "We will see what is the best for me and the club [Liverpool], I don't know yet. I am training and preparing like I am going to stay here. "I want to be a Liverpool player. I said the same when I came two years ago, so my goal in the next few years is to play for this shirt."